Skimmed the article at SpaceFlightNow.com on the abundance of water on Pluto, more than previously thought. The closing remark by Alan Stern, the principal investigator, in the article really caught my eye. It really makes you wonder, when we're doing studies of other small Kuiper Belt planets, or other objects in the deep outer solar system, what we really know about them. 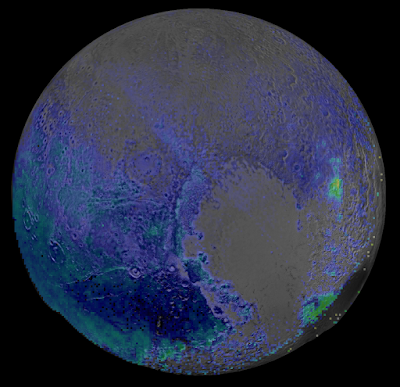 Water ice is very widespread on Pluto, and there’s no hint of it in any ground-based data set, from any telescope, by any author, anywhere in the literature, but it's there.